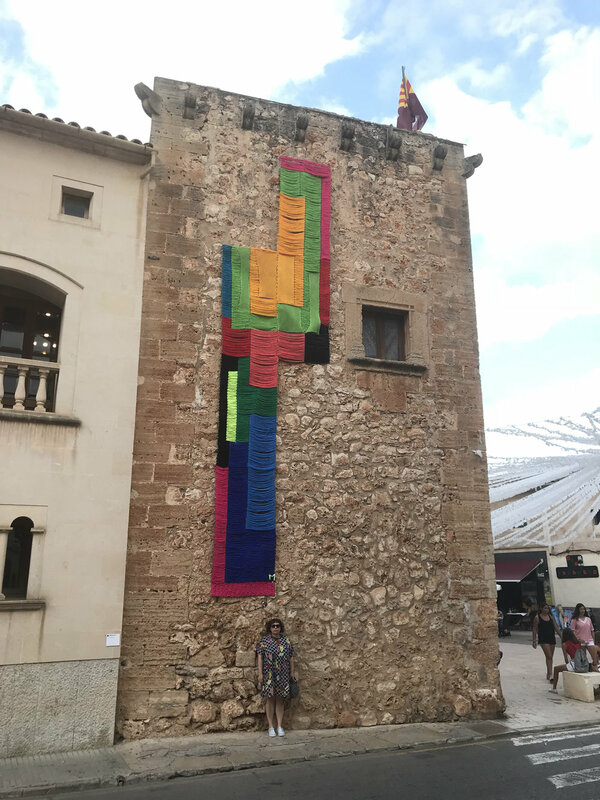 A chromatic journey through the texture and color composition for a cultural heritage building in Campos, Mallorca. A Color installation created for Imagin Cafe Barcelona, a meeting place in the heart of Barcelona. A series of hand woven pieces in solid color blocks and setting one beside the other to create a chromatic dynamic and a degradation effect of the of warm colors scale. The pieces have been created in my workshop with the collaboration of my students. 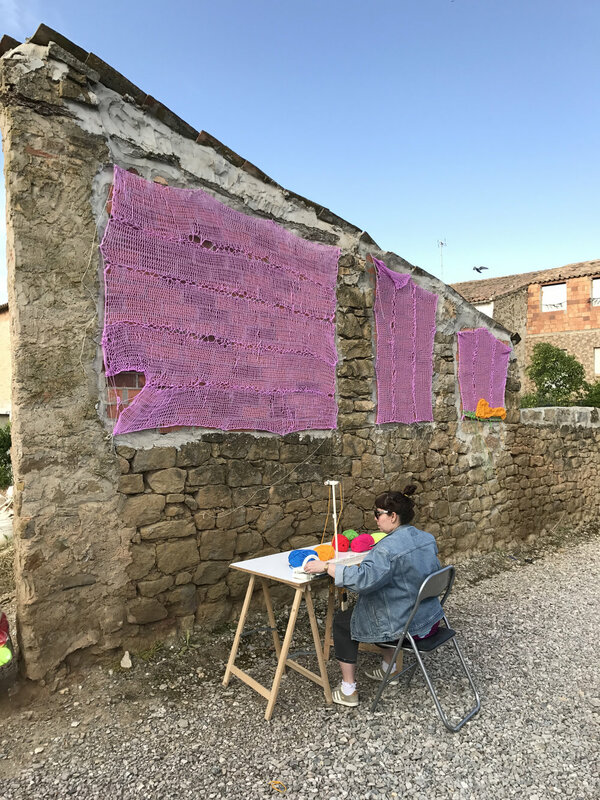 Gar Gar is an art and rural art festival in Penelles, a small country town in Catalonia. 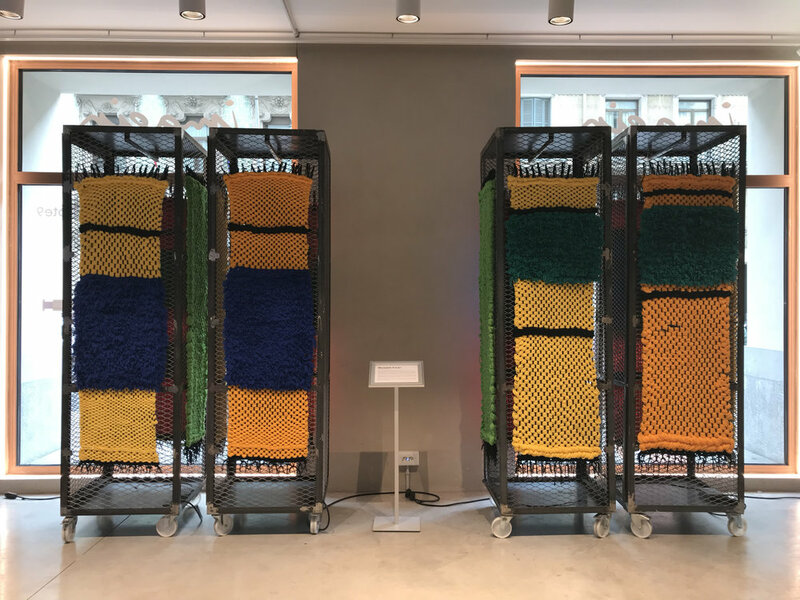 Wall installation, knitted and woven in acrylic wool. A series of made up silhouettes of clothing recovered from the street and reallocated on the sidewalk in Barcelona creating a new history. The installation will be supported by photographic material, text and few props elements to help the viewer to interact and follow the path.